Linda Murray is a Washington County Board of Education candidate that was endorsed by the ultra-liberal and radicalized Washington County Teacher’s Union, and her campaign materials are currently being featured at the Washington County Republican Club’s table at the Washington County Agricultural Fair. Mrs. Muarry is an intense proponent of the deeply unpopular Common Core State Standards, a pivotal education issue at odds with the Republican Party’s platform. 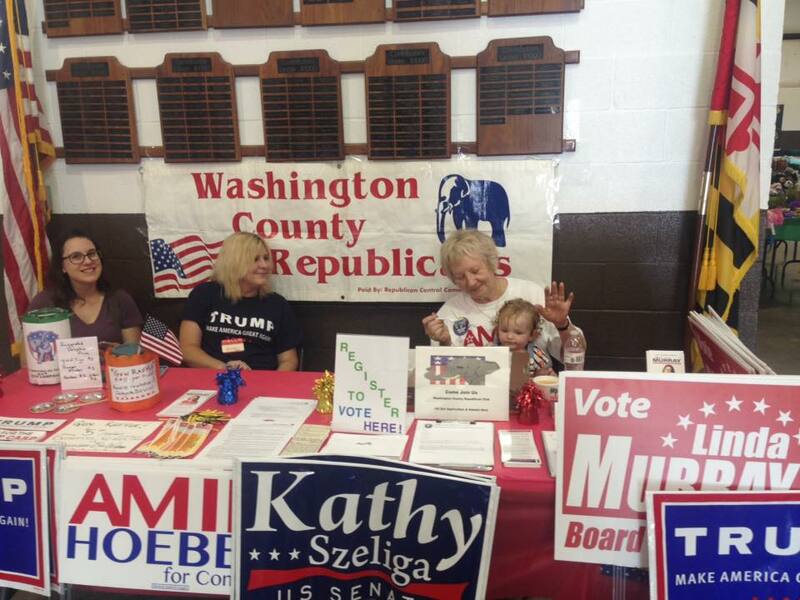 I presume the Washington County Republican Club does not support Common Core State Standards, so it’s rather odd that the Club would feature Mrs. Muarry’s campaign signs at their table.